Sussex Partnership is working to ‘Care Without Carbon’ to reduce the Trust’s impact on the environment. Why is Sussex Partnership choosing to Care Without Carbon? 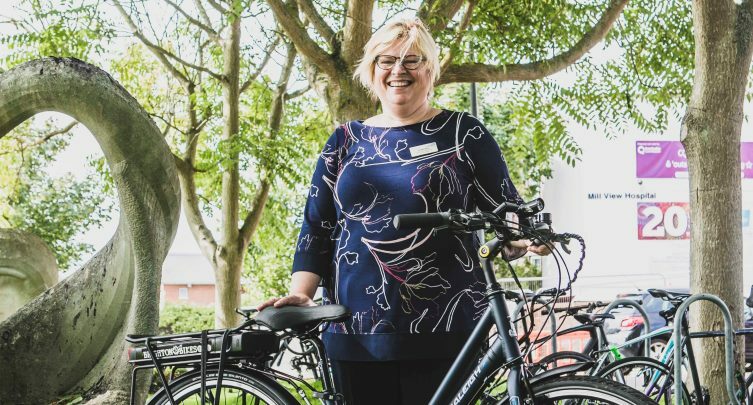 Care Without Carbon at Sussex Partnership will involve a programme of work over the next few years to help the Trust make services, and the surrounding environments more sustainable to benefit staff and patients alike. The Trust is committed to reducing its impact on the environment because it wants to make sure the services offered today, are there in the future. That means thinking about how it uses all its resources, from money and people to energy and equipment. Sussex Partnership aims to reduce its carbon footprint by 34% by 2020. Cutting carbon not only helps to tackle climate change, it saves money and can help improve staff wellbeing and patient care too. It’s about creating a more sustainable approach to delivering healthcare. The work is being led by the Estates and Facilities team. Nigel Burchett, Director of Estates and Facilities is passionate about improving the Trust’s environmental impact. A new staff engagement programme launches on 8th October across the whole of Sussex Partnership called Dare to Care. The programme is designed to support the work of Care Without Carbon, and it offers an easy and fun way for staff to play their part in creating a greener NHS. Creating positive change takes more than strategic plans and policies. While those things help to shape and drive the direction of what needs to change, it takes people to make it happen. Dare to Care is one way Sussex Partnership is encouraging staff to get involved. Dare to Care launches on 8th October at Sussex Partnership, and from that date all staff can sign up to a dare direct on the Care Without Carbon website. What are the dares for Sussex Partnership? Staff can choose from a selection of ten dares (pledges) ; these are small things that staff can do differently in the working week that aren’t too much to take on for one person, but when a lot of people are doing it adds up to a big difference. Paper Cut – take this dare to use less paper by choosing to print only when necessary, or double sided if necessary. Staff can sign up individually for as many of the dares as they like – or they can come together as a team to take on one or two dares as a group and support each other . To sign up as a team email your names and chosen dare(s) to hayleycarmichael@nhs.net. These dares will help Sussex Partnership to reduce its impact on the environment, boost staff wellbeing and maybe even save some money too. Help us save 800 trees!